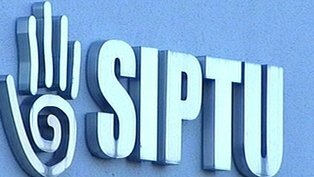 Trade union SIPTU has called for the suspension of the controversial household charge, branding it “unfair and regressive”. The group’s national executive committee, which represents about 200,000 employees, unanimously supported a motion calling for the government to suspend the €100 charge at its monthly meeting today. The motion said the charge, as currently proposed by the Government, was “a flat tax which is unfair and regressive in that it subsidises wealthy people at the expense of middle and low income families”. Just over 103,000 people have registered for the household charge to date. Read the full story on SIPTU’s objection to the household charge in the Irish Times.